Outdoor living is a space that can be enjoyed year-round if designed and planned correctly. Let us help you with that! So why not add an Eldorado Stone Artisan Fire Bowl to bring an upscale ambiance and added entertainment for every season! Eldorado Stone Fire Bowls are handcrafted with a four-step process which guarantees each artisan style piece is one-of-a-kind! Eldorado offers several different shaped fire bowls and a range of color and finishes to ensure you get an outdoor statement piece that suits your exact needs for your outdoor living space. These pieces are heavily built, so they won’t be knocked over because they are SO strong! They can also be left out in the rain, heat, and basically, withstand all types of weather for decades! 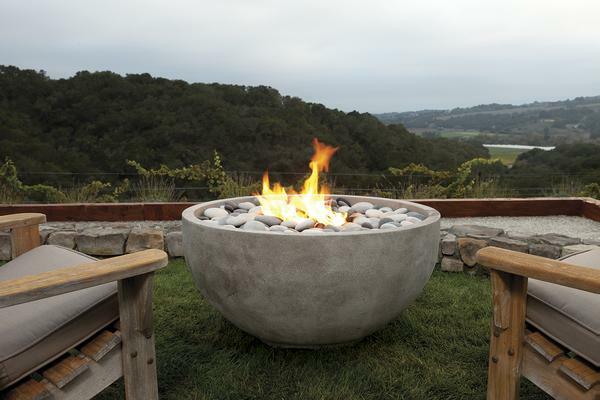 KM Builders is an official vendor of Eldorado Stone and their Artisan Fire Bowls, so give us a call at (210) 580-5625 because we know this is at the top of your outdoor living wish list!